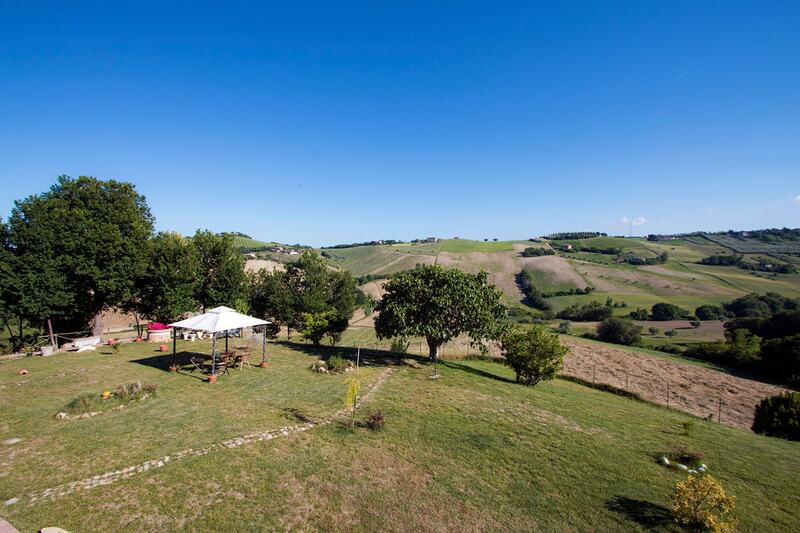 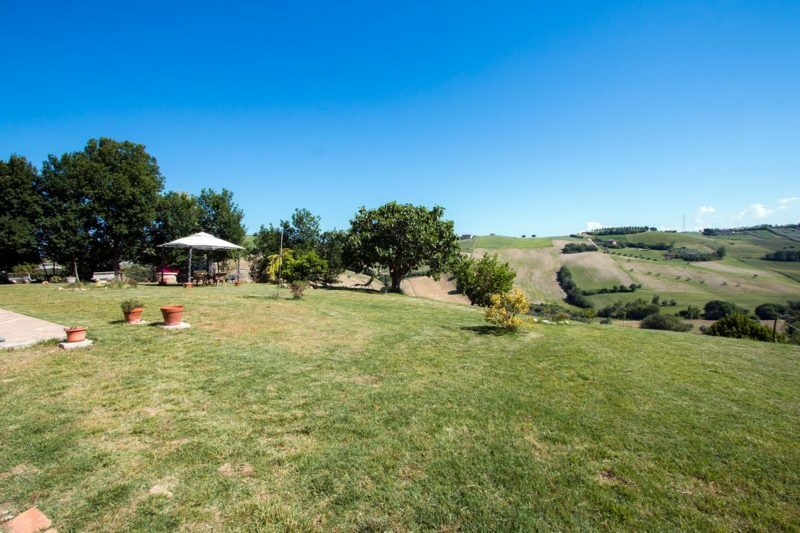 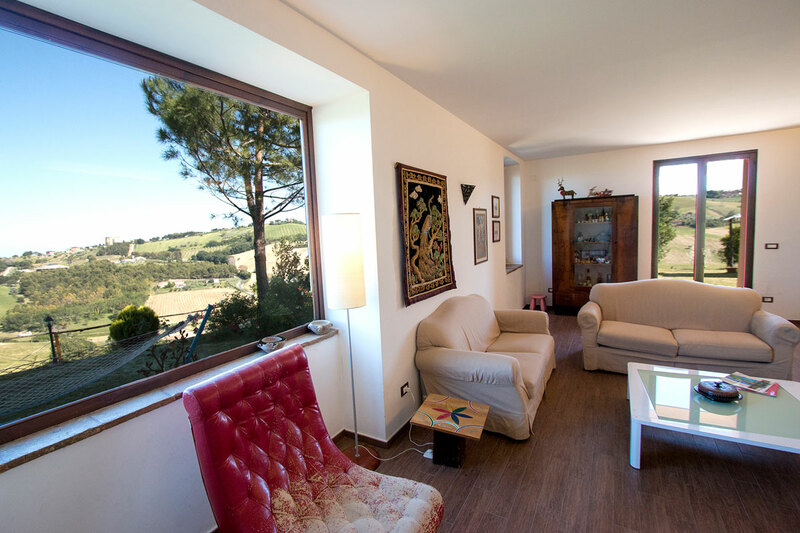 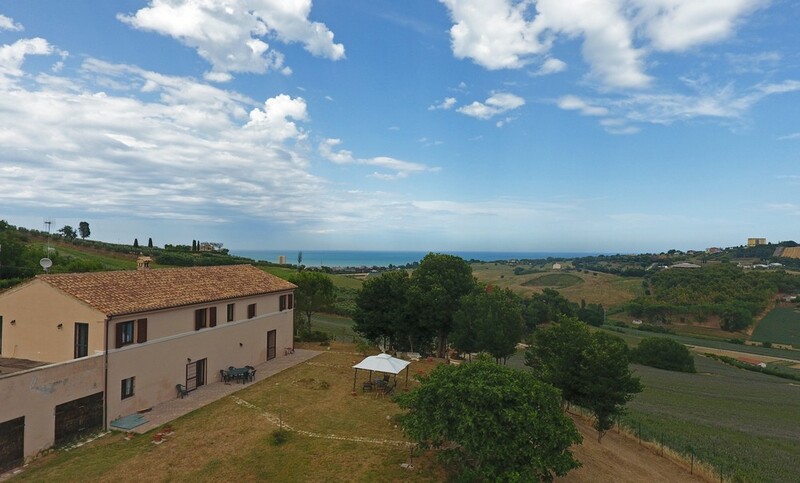 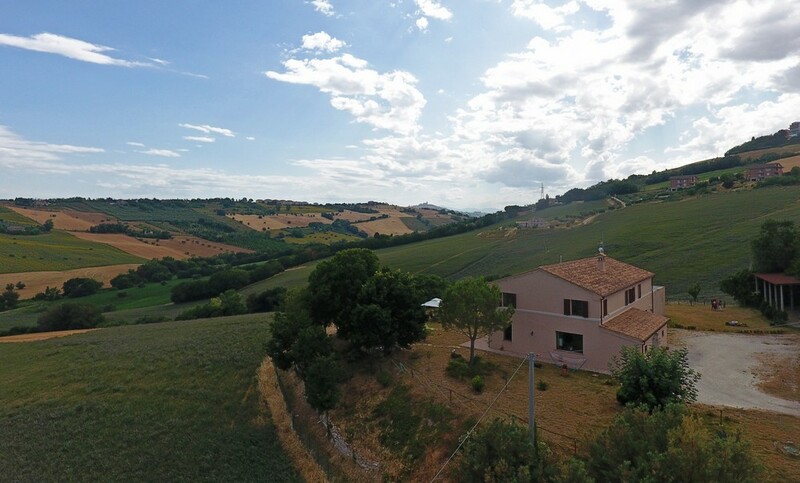 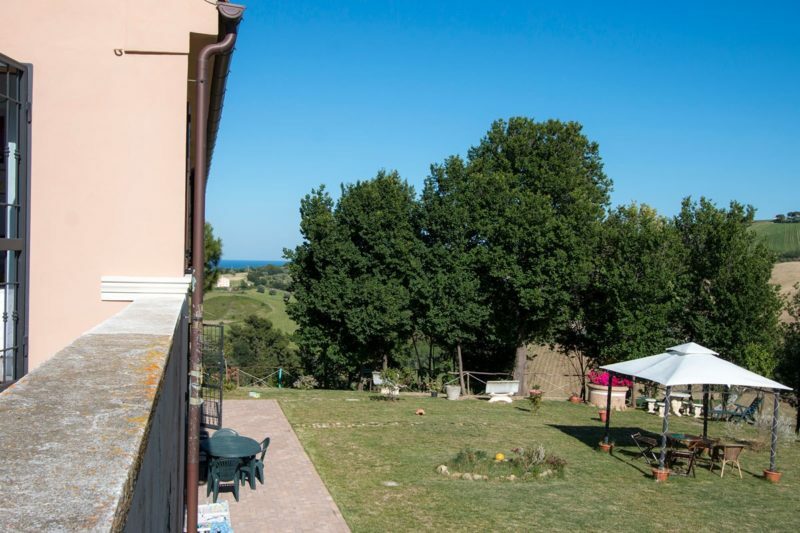 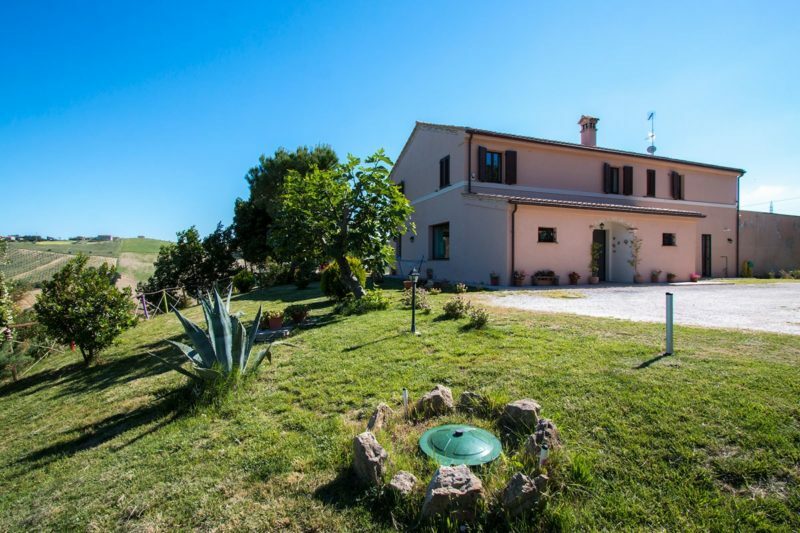 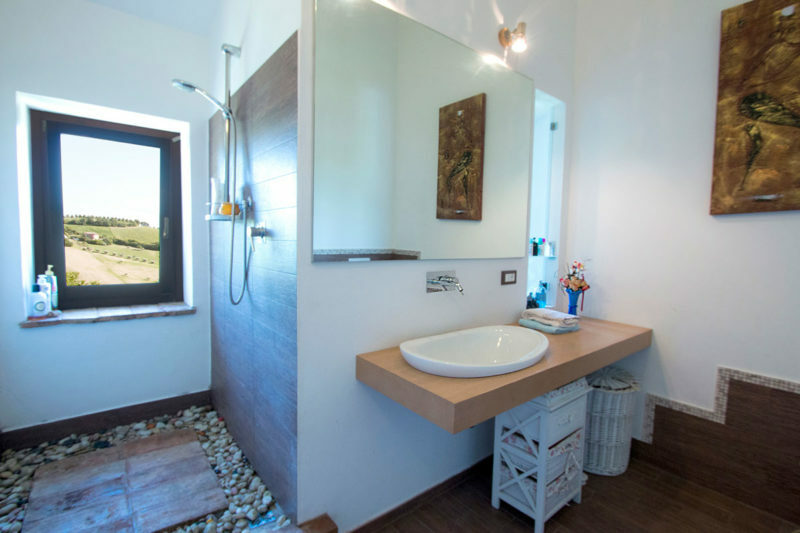 A 4-5 bedroom recently restored farmhouse for sale near Fermo in the Marche region – The property is nestled between the hills and the Adriatic coast with beautiful, panoramic views of the sea and the historic city of Fermo. 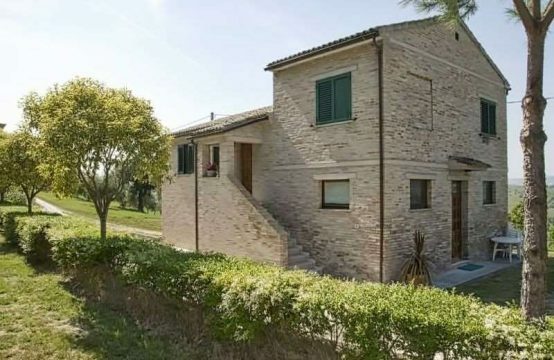 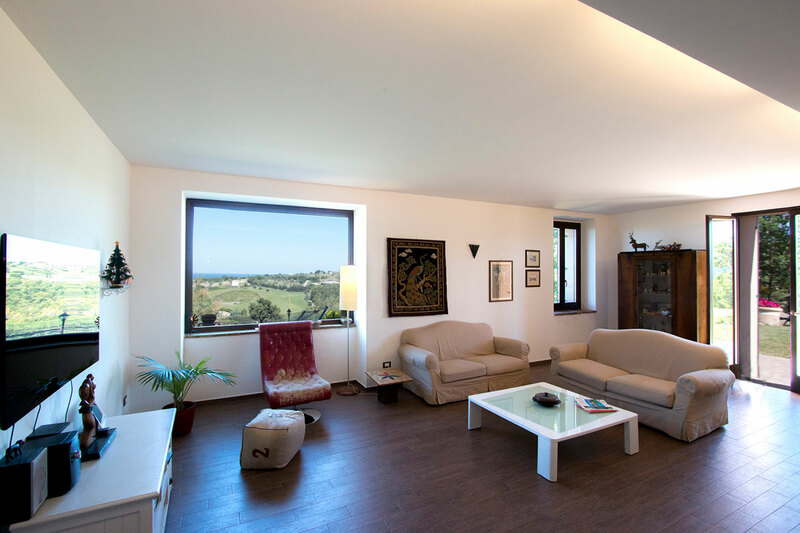 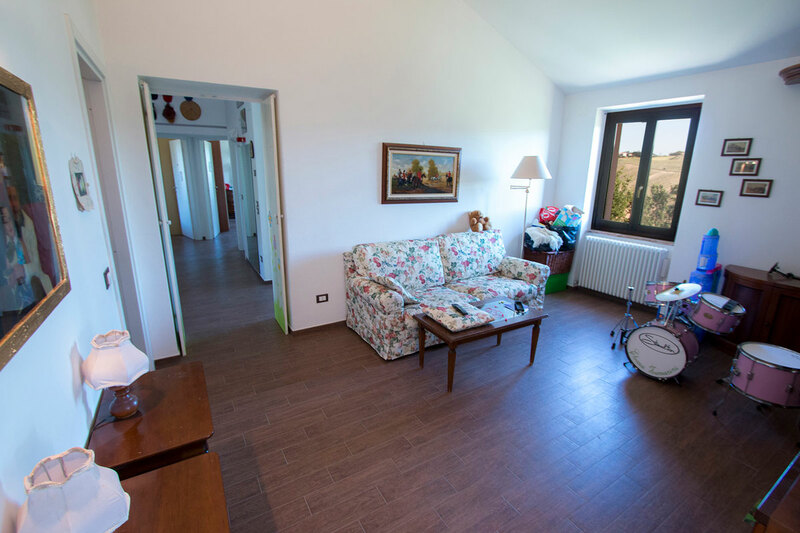 Located just a short distance from the renowned tourist resort of Porto San Giorgio, this is the perfect holiday home, permanent residence or B&B. 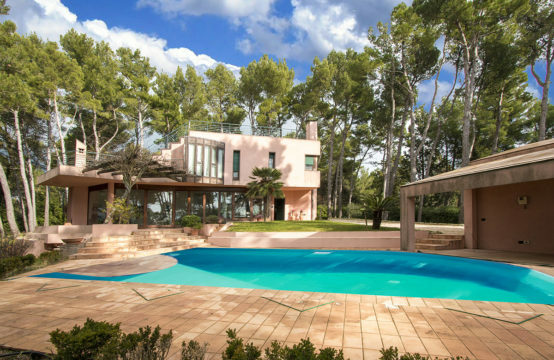 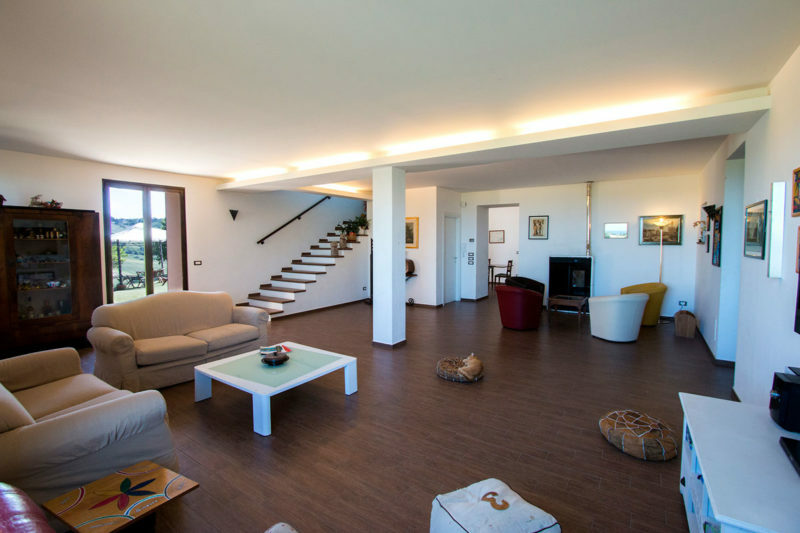 – The ground floor includes an entrance area with access to the studio and a large storage room, a large room with panoramic windows overlooking the garden and the sea, an open plan kitchen dining room, laundry room, bathroom and storage under the stairs. – On the first floor, the stairs lead to a large room, currently used as a study / living room where two sleeping areas can be accessed. 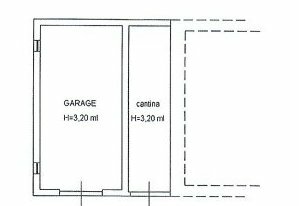 One with two double bedrooms and bathroom, the other with tv room, double room with en suite bathroom, another double bedroom and bathroom. 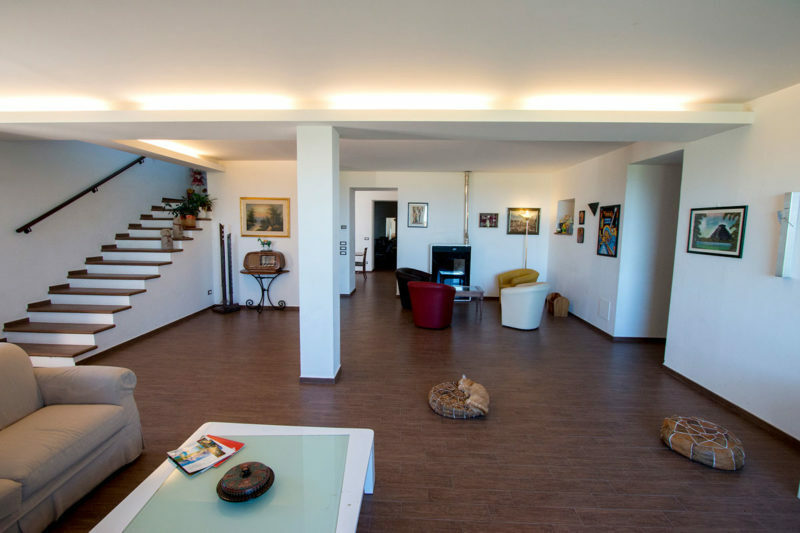 These rooms give onto the large 53 sqm terrace. 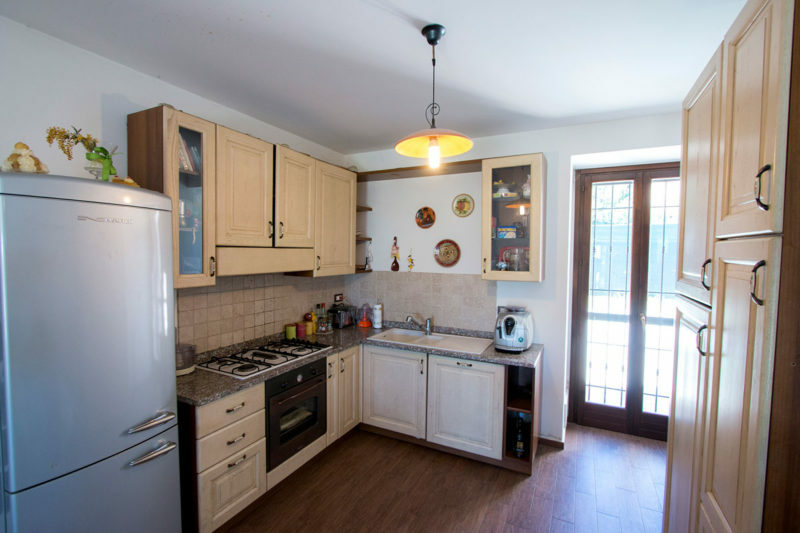 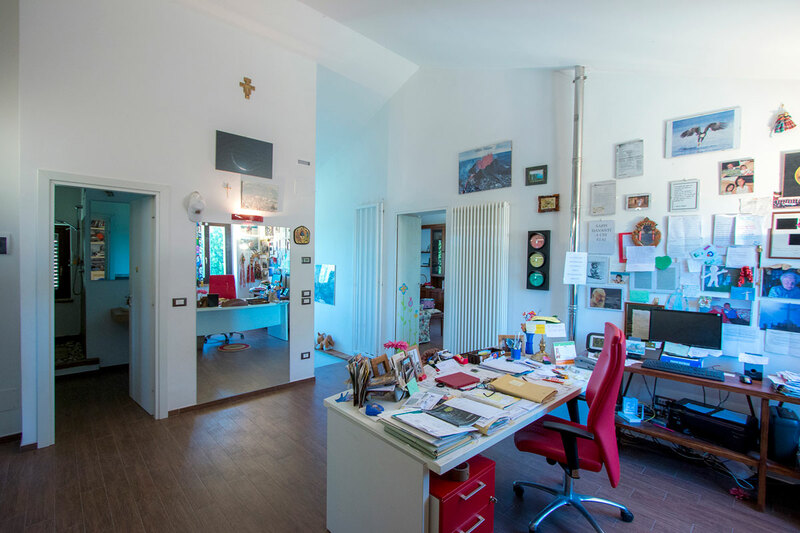 On the ground floor connected to the house there is also a 53 sqm room that requires refurbishing and that could serve to expand the living quarters. 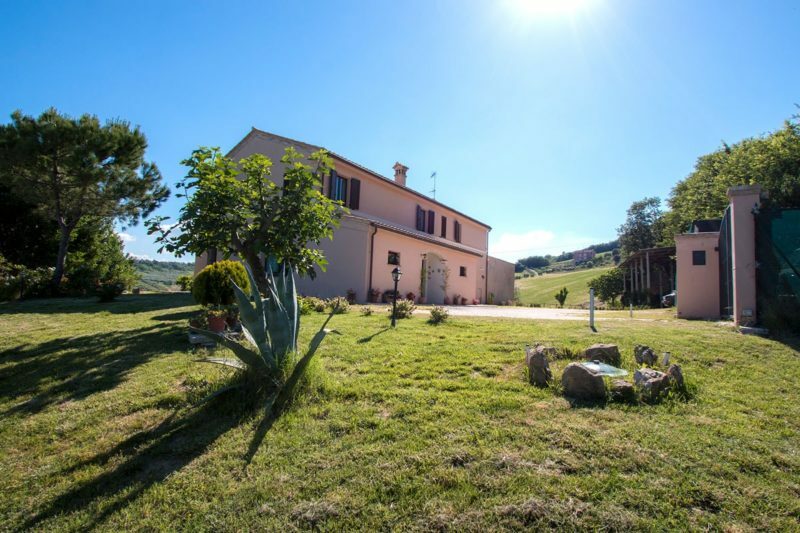 Outside, unconnected to the house, there is a 93 sqm barn and a 77 sqm stable both of which require restoring. 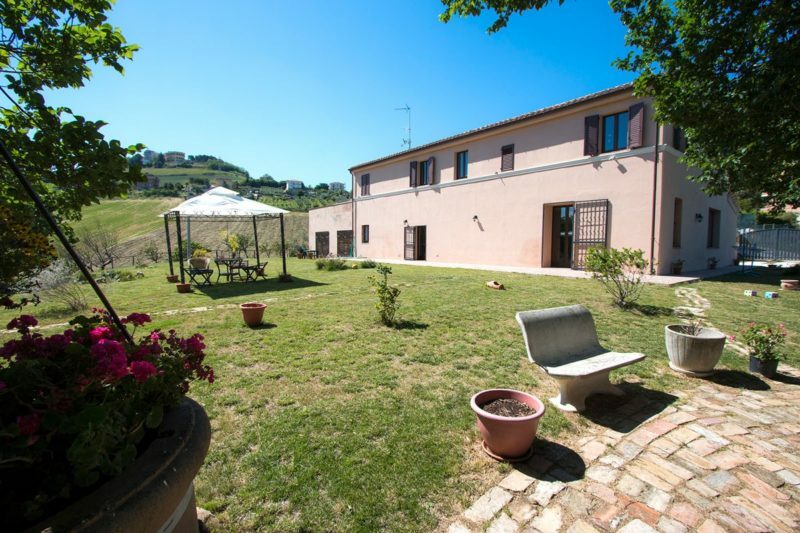 The house is surrounded by a lovely, flat garden of about 4000 sqm, planted and fenced with beautiful views towards the sea and Fermo. 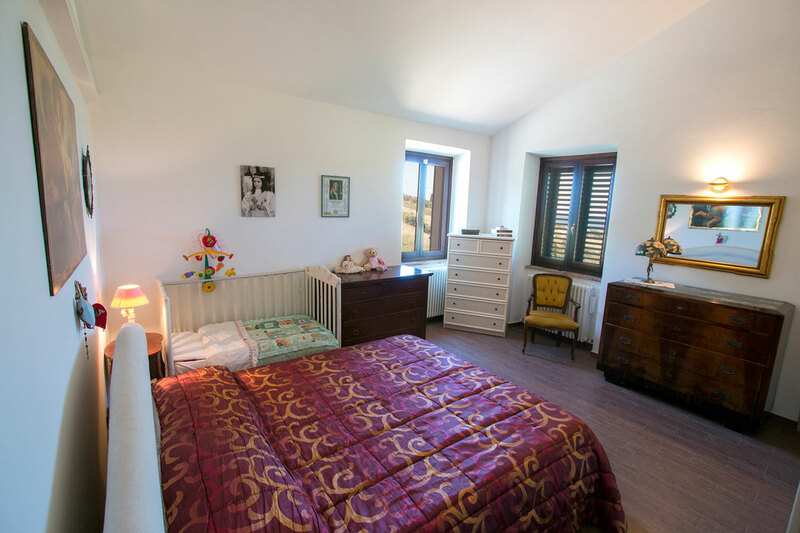 The first floor is ideal for a Bed & Breakfast with the ground floor as an independent apartment for the owners. 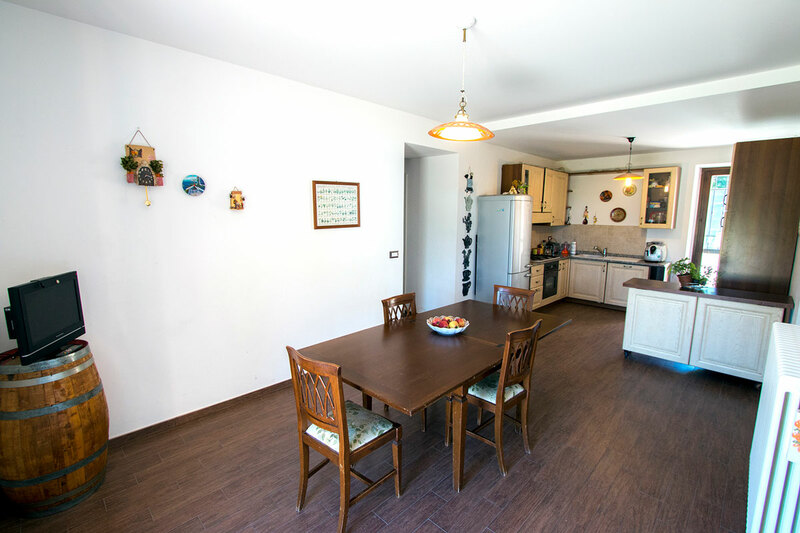 Owing to its position near local amenities and the seaside, the property lends itself to use as a permanent or holiday home. 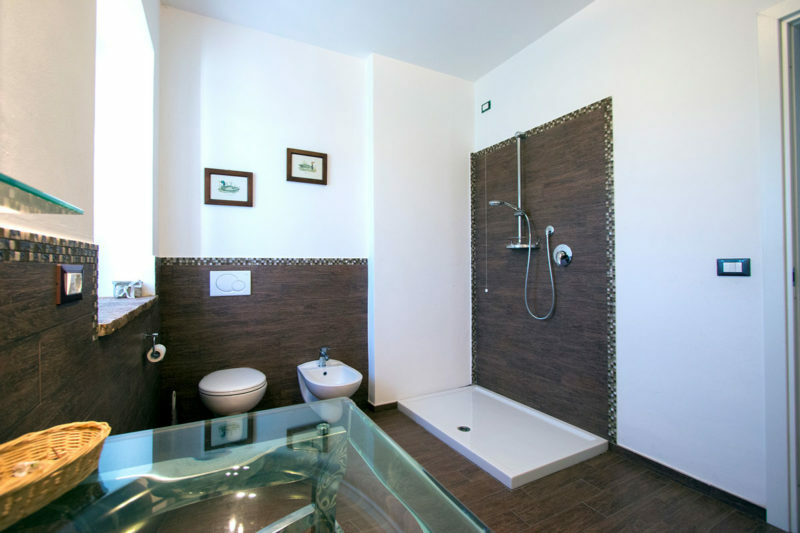 The fixtures and fittings are modern. 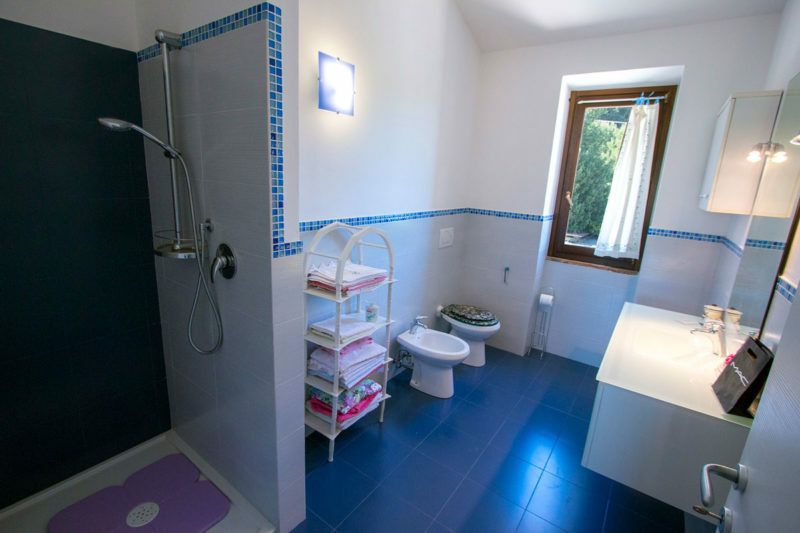 The house was renovated in 2012 and is equipped with all the amenities of a home to live in all year round. 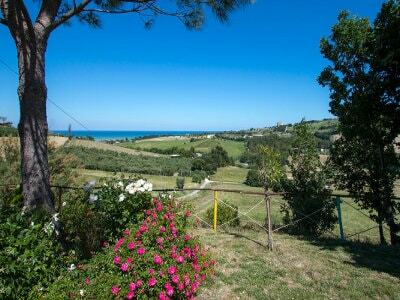 The entrance to the motorway is 4 km away and Ancona Airport is about 65 km away. 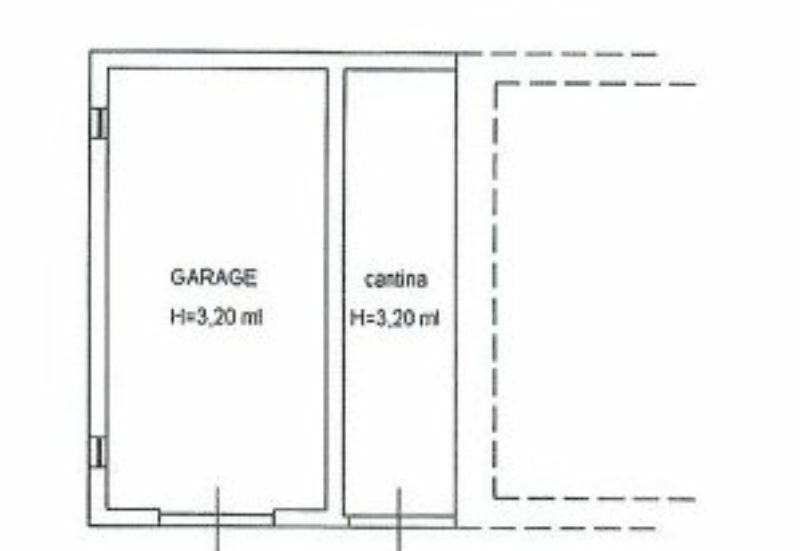 The access road is made of tarmac.